The Repeater collective’s latest art show isn’t just small, it’s pocket-sized. It’s been copied onto USB keys, shaped like Public Services Cards, all containing the same collection of files. Hidden on it, within titled and untitled folders, are music tracks, photographs, sound recordings, video art, text of interviews and manifestos. “The USB key is a couple of different things,” says Michelle Doyle, an artist and one of the collective: a portable exhibition and a piece of artwork in itself. The form of Repeater Data Dump, as the show is titled, is inspired by its theme – growing concerns about privacy in the digital age and questions of the self in a virtual world. 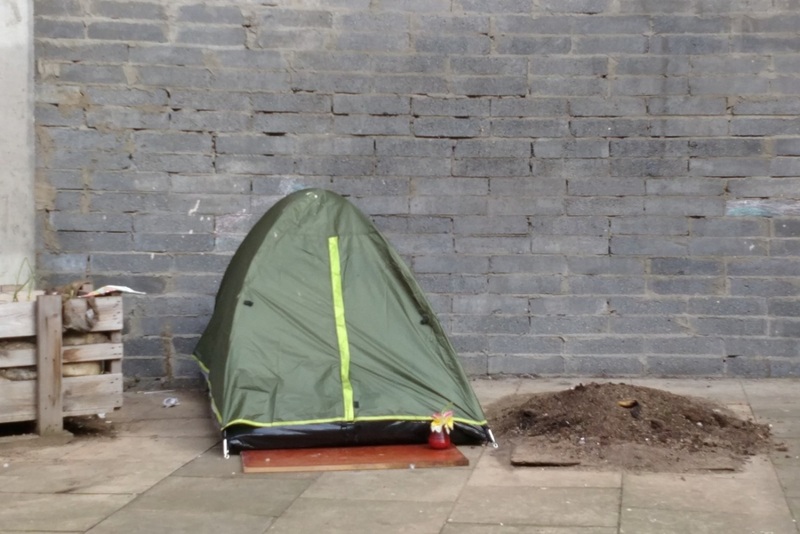 It’s portability is also, though, a response to the challenges facing artists, says Doyle, who seek ways to distribute their work in a city where exhibition spaces can seem out of reach. Exploring the folders in the USB is supposed to mimic a walk through a gallery, says Doyle. The folders resemble rooms in a gallery: haunting, nostalgic videos from alltimesnothingnow and Eva George in one room, digitally rendered photos in another, the readings to contextualise the whole thing on entry. 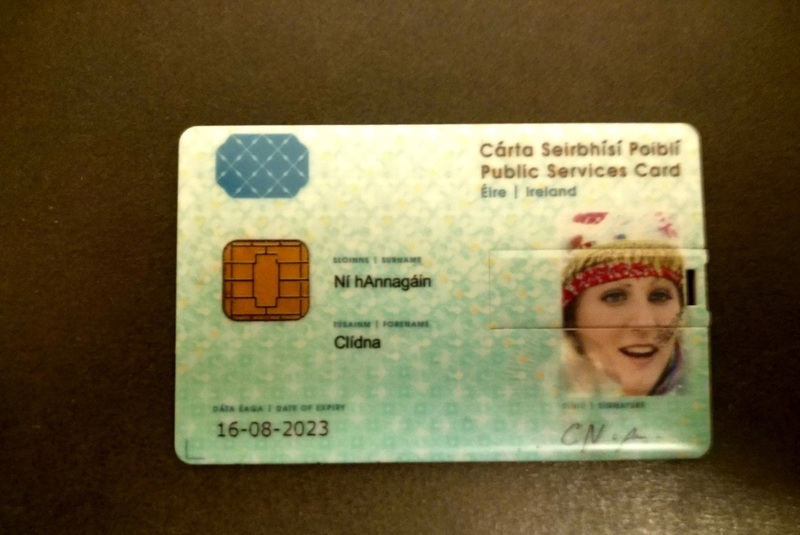 One side of the fake public services card bares a profile photograph of Clídna Ní hAnnagáin, an image composited from an artificial intelligence programme. Civil liberties bodies criticized the Public Services Card when the government brought it in last year. The design of the USB for Repeater Data Dump is born out of the art collective’s concern over the potential misuse of data. “I’m on Seetec,” said Doyle, sat in the Fire Station Art Studios on Buckingham Street earlier this week, referring to one of two private companies to run the government’s JobPath “activation” programmes, meant to get people who have been unemployed for a long time into work. “It affects your social standing, your social credit, and privacy,” says Doyle. Frank Sweeney, Gareth Smyth and Coilín O’Connell are some years into the Repeater collective. They set it up in 2014. They’d lived together in New York for a summer and shared a similar interest in music, art and DIY culture, says Sweeney. The first Repeater release was a zine and music tape. In the years since, the type of work that the collective has released has changed, with the collective swelling to 12 members. They’ve put on shows of photography, performance art, video art and sound in a now-defunct rehearsal space in Rialto. They’ve scored residencies, one at the Drop Everything festival on Inis Oírr and another at Cork Sound Fair. It was through one-day exhibitions that the collective really grew, says Sweeney. That way they could promote artists whose work couldn’t be shared on zines or tapes, opening them up to performance and visual artists, says Sweeney. As more people have joined, their thinking around what Repeater is has shifted, says Sweeney. “Ideas for different projects are thrown out,” he says. What they do depends on who is available to do what. For Doyle, who has been a member of the collective since last year, officially at least, what makes Repeater special is not just the artwork that they do, but how they distribute it. “At the end of the day you own the artwork. Everybody owns it. 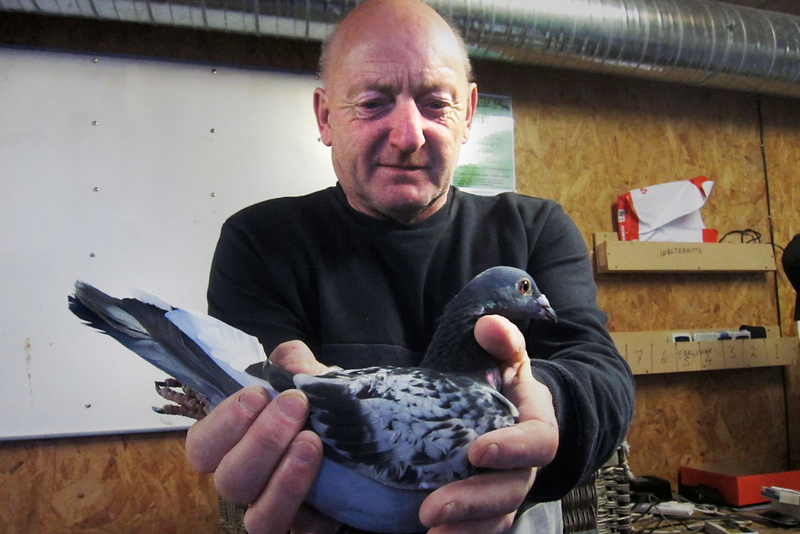 I love galleries and I love exhibitions,” says Doyle. But they’re not open to everyone. They distribute the Repeater Data Dump through the post. The do-it-yourself approach that the team have taken is only partly by desire – it’s also by necessity, say both Doyle and Sweeney. It’s not that they’d refuse to work with institutional galleries. It can be difficult to break into these traditional spaces and to be accepted, said Doyle. “There is a serious problem with the lack of young artists getting institutional support in Dublin,” she says. Music is central to the group’s identity. Many involved are DJs, producers, band members. One of the more interesting things, says Doyle, is watching the type of sounds being made solidify with each release. Some involved in the sessions later take particular strands of the improvisation and develop them into their own tracks, she says. They’ve even got a few names for it but they haven’t quite settled on one or the other. Industrial Gronk, or Toxic Slime, perhaps.